Rusper has a couple of good pubs and the Star Inn is one. Originally built in 1486, always a pub, it has now expanded into neighbouring cottages. There is a priest hole [a small passage for Catholic priests to hide during the reign of Elizabeth I] in one corner of the pub that leads on to the roof, a large inglenook fireplace, and a wishing well. Lots of history then! Cosy wood-beamed bar areas with old carpenter's planes displayed. Wide range of food. No garden but there is a paved patio area. Explore the small, quiet country lanes between Horsham and Dorking. 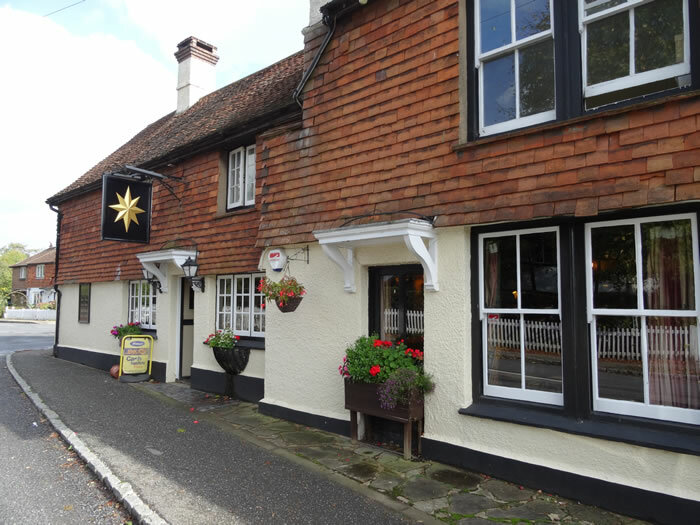 Try the Six Bells at Newdigate on the way to Brockham, which has a typical village green atmosphere. Try the Plough - also in Rusper. The Holmbush Inn in Faygate is also close.